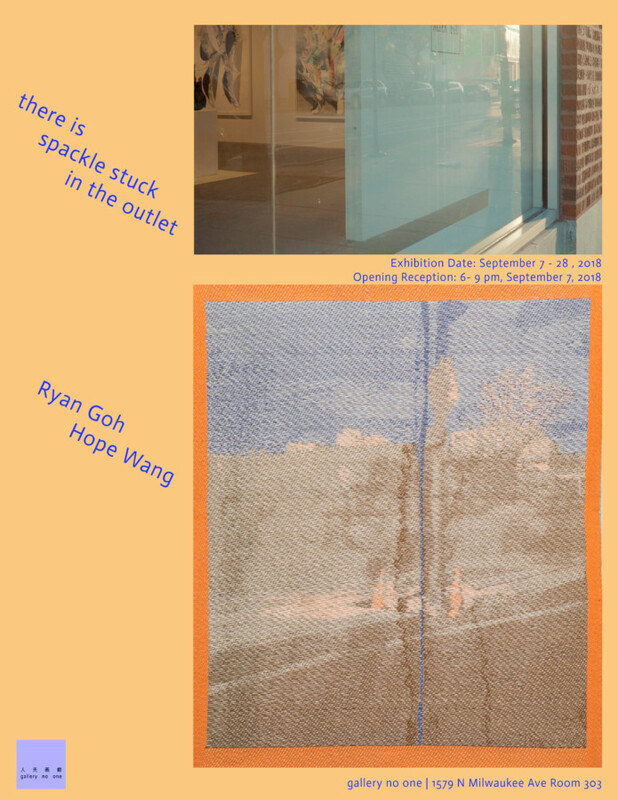 gallery no one is pleased to present the exhibition “there is spackle stuck in the outlet” featuring new works by the artists Hope Wang (BFA 2018) and Ryan Goh (BFA 2018). The exhibition has been curated by Vidisha Aggarwal (BFA 2018). The exhibition, “there is spackle stuck in the outlet”, is a series of visual-spatial interventions that celebrate, challenge and reimagine the politics of image-making. The exhibition presents artists Hope Wang and Ryan Goh, whose self-referential weavings and videos engage in the reconstruction of experience through the translation of architectural representations, and image as signifiers. Driven by our shared curiosity of the spaces we inhabit, the exhibition sets out to investigate how facade and image simultaneously both embody, obfuscate, and belie narrative and meaning. Refreshment will be served during the opening!